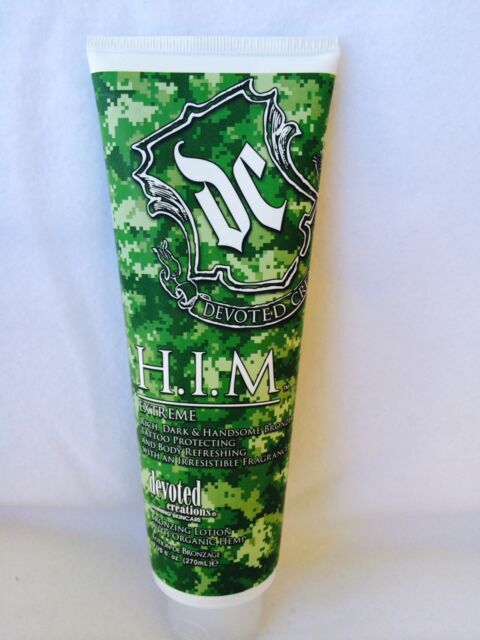 Devoted Creations HIM Extreme is a bronzing treatment that stimulates the skin's natural tanning ability and delivers a deep, dark color without much effort. This tanning lotion is suitable for sensitive skin types in order to provide long lasting results and a natural, attractive appearance. Best tan extender lotion ever! It has some self tanner; gradual building but absolutely no steaks or orange hands after applying. Great color! Easy to apply! Love this product!